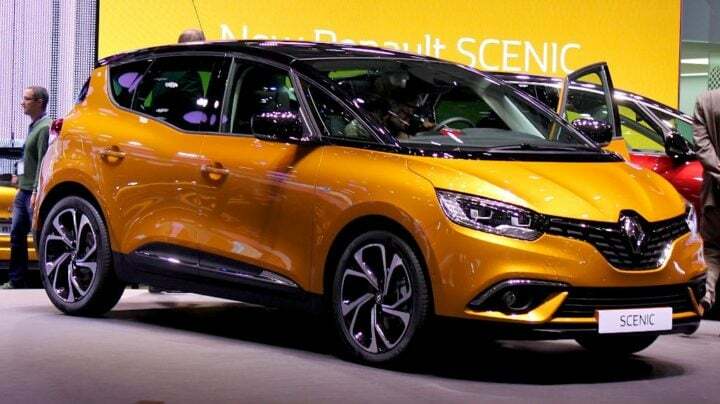 The top-selling carmaker in France during the first three quarters of 2016 was again the PSA Group with Renault the top brand and the Clio favorite model. New passenger vehicle registrations in France increased by 5.7% to just over 1.5 million cars during the first nine months of 2016. During the first nine months of 2016, new passenger vehicle registrations in France increased by 5.7% to 1,502,457 cars. The total motorized new vehicle market expanded by 6.3% to 1,802,482 vehicles with light commercial vehicle sales increasing by nearly 10%. Although diesel remained the best-selling engine type for cars in France, diesel cars share of the market shrunk to 52.5% from 58% during the first nine months of 2015. Petrol driven cars increased market share from 38% to 43.5%. Fewer hybrid cars were registered during the first three quarters of 2016 compared to last year: 41,086 (2.73% share) against 43,576 (3.07%) in 2015. Electric car sales in France during the first nine months of 2016 increased to 16,091 from 11,779 a year ago. The PSA Group remained the largest carmaker in France during the first nine months of 2016. However, sales of the PSA Group increased by a modest 1.4% with sales of Citroen down in an expanding market. DS sales were up by only half a percentage point while Peugeot’s 3.3% increase was only about half the growth of the broader market. The Renault Group performed markedly better with sales up nearly 10% for the group with Renault branded sales up 8% and Dacia sales up a strong 14%. Renault remained by far the top-selling car brand in France. The Volkswagen Group remained the strongest foreign car manufacturer in France during the first three quarters of 2016 but with sales increasing only 1.1% lost market share. Volkswagen brand sales were down by 3.2% but sales of Audi and Skoda increased by nearly 10%. Sales of the BMW Group in France increased by 16% for both BMW and Mini brands. The BMW Group thus moved ahead of Ford, Nissan and Toyota. Ford slipped behind BMW in France with weaker sales – only Nissan performed worse. Both the Toyota and FCA Groups overtook the Nissan Group. Fiat and Jeep sales were much improved while even Alfa Romeo outperformed the broader market. Nissan was the worst performing car manufacturing group and brand in France thus far this year. Sales of the GM Group – now basically just Opel – in France increased by 8.3% during the first nine months of 2016. Sales of the Daimler Group in France increased by more than 10% with Mercedes Benz sales up nearly 10% and Smart sales up 16%. The Hyundai Group was the most-improved carmaker in France thus far this year with Hyundai (19%) the most-improved brand. There were very few changes in the rank order of the top 20 best-selling car brands in France during the first three quarters of 2016. The order of the top six brands remained unchanged despite half of these brands selling fewer cars than a year ago. Citroen, VW and Ford all had weaker sales in France in 2016 compared to a year ago. However, Nissan with sales down 7.8% was by far the weakest performer in France during the first three quarters of 2016. Nissan slipped two rank positions allowing both Toyota and Opel to each improve one position each. The only other rank order change was Kia and DS swapping places. The rank order of the top five best-selling cars in France during the first three quarters of 2016 remained unchanged from a year ago. The Renault Clio remained the favorite car of the French although fewer Clios were sold than a year ago. In contrast, the Peugeot 208, 308, 2008 and Renault Captur all increased sales. Dacia sold 10,000 more Sanderos in France during the first nine months of 2016 compared to a year ago allowing Renault’s budget brand car to move up from eighth to sixth. The Citroen C3 slipped on place. The Citroen C4 Picasso improved from 10th a year ago while the Renault Twingo remained in ninth place. The Renault Mégane re-entered the top ten while the Renault Scénic III slipped from seventh a year ago to 14th. Sales of both cars were affected by model changes. The VW Polo was again the top imported car model in France at 11th place while the Toyota Yaris (17th) was the favorite Japanese model.